Therapy clients have the right to complain about treatment practices and procedures at without recrimination. It is our objective to resolve your concerns with services to the best of our abilities. Reviews of grievances will be conducted to identify trends and make improvements in services and business operations. When you are dissatisfied with services, please discuss it directly with your provider. 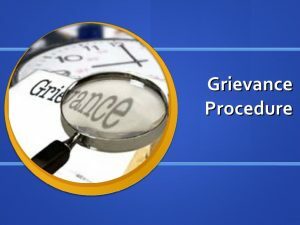 If you want to file a formal grievance, you will be asked to complete the written Grievance form which you can obtain from your provider or from Kolleen Meyer-Krikac. (The forms are also located in our waiting room.) Kolleen will attempt to resolve your grievance and document efforts taken. She will gather information and make reasonable efforts to satisfy your concerns. A written response will be provided to you within 10 business days. Our Dual Diagnosis Outpatient Treatment programs for children/adolescents and adults are also accredited by CARF. Anyone can register feedback about a provider that is accredited by CARF by calling (866) 510-2273. If your complaint is not adequately resolved by the methods described above, you can also contact the Credentialing Division of the Nebraska Department of Health and Human Services (DHHS). Refer to the brochure, “A Consumer’s Guide to Mental Health Practice in Nebraska” provided in your orientation packet. To file a complaint against a licensed professional and/or the facility license as a Substance Abuse Treatment Center, contact the complaint intake line at (402) 471-0316 or DHHS, Health Facilities Investigations, 301 Centennial Mall South (P.O. Box 94986-4986), Lincoln NE 68509.